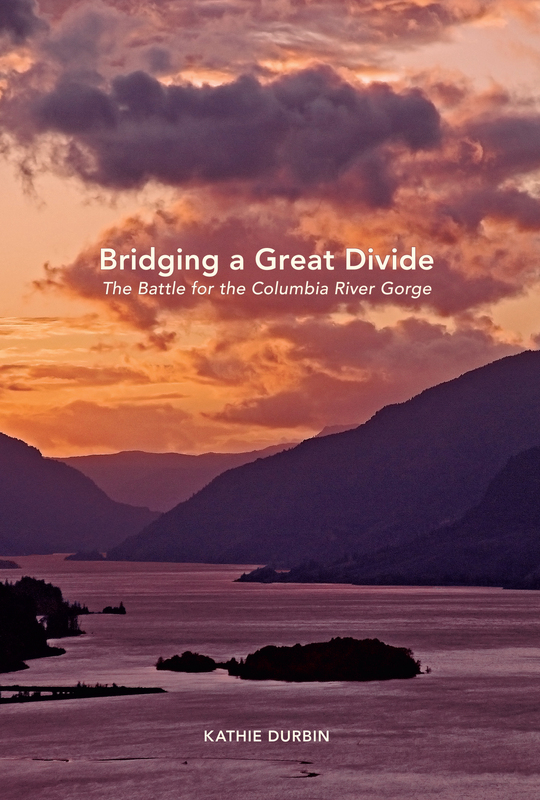 Today, we share an excerpted foreword from Bridging a Great Divide, written by Durbin’s longtime friend (and fellow OSU Press author) Roberta Ulrich. Ulrich offers readers an intimate glimpse into the lengths Durbin went to finish her final book—further evidence of her indomitable legacy. I have just returned from a hike in the Columbia Gorge and it reminded me how much we owe Kathie Durbin for giving us the story of how this magical place was preserved—and how the battle to keep it continues. Wildflower blossoms glistened through raindrops; I didn’t know the flowers’ names but Kathie would have. Giant moss-covered evergreen trunks towered into the low-hanging clouds and their branches diverted the worst of the rain. Kathie would have reveled in this slosh through the woods. For Kathie journalism wasn’t just a job; it was a passion. She was dogged in pursuit of a story, thorough in gathering facts, accurate in reporting, and fiercely competitive. She was intense about the things she cared about. Many relished her sly sense of humor that skewered the self-important—and sometimes herself. She stepped on some extremely large toes, but even public officials who endured her interrogations respected her integrity. That battle over logging old-growth forests in the Pacific Northwest—a fight that came to be called the “spotted owl wars”—brought Kathie a national reputation. She even won rare respect from the often-insular Washington press corps, whose members tend to disdain reporters from the hinterlands. The forest conflict spilled into Congress and the administration of George H. W. Bush and the Capitol reporters recognized the caliber of Kathie’s coverage. 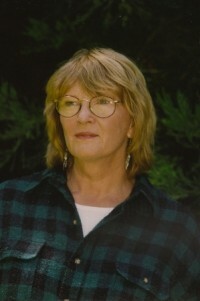 After Kathie left the Oregonian in 1994, she co-founded and co-edited Cascadia Times. She also chronicled the lengthy forest battle in a fine book, Tree Huggers: Victory, Defeat and Renewal in the Northwest Ancient Forest Campaign, published in 1996. That book remains the definitive history of the struggle over management of Northwest forests. She continued writing about environmental issues for High Country News, National Wildlife, Audubon magazine, Defenders of Wildlife and the Seattle Weekly. The Tongass National Forest caught her attention and she produced another fine book, Tongass: Pulp Politics and the Fight for the Alaska Rain Forest, in 1999. At times Kathie might have found life easier had she been willing to confine her work to less controversial issues. Instead, she continued to find ways to do the work she seemed meant to do. As she neared retirement she began to think that the history of the Columbia River Gorge National Scenic Area Act and its effects would make an interesting book. She was right. Freed from daily journalism in 2011, she sought out the people who had created the act and the people who implemented it and the people who fought against it. As she was completing the interviews and beginning the writing she was diagnosed with advanced pancreatic cancer. It was ironic—as she herself noted ruefully—now that she could devote all her time to a project she really cared about, she was forced to race cancer’s intractable clock. She won that race; the book that resulted is truly a triumph of reporting, history, description, and analysis—and an excellent read to boot. Through chemotherapy and radiation she worked on. Even as her strength failed she kept writing. She finished the manuscript working in bed after she was hospitalized. “That’s a real deadline,” she said with a mischievous smile. “This is my legacy,” Kathie had told a friend, explaining her determination to finish the book in the face of her devastating illness. It is a fitting legacy from a noteworthy reporter who cared about the world she lived in. You can order Durbin’s book here, and read more about Kathie here and here.